My work is all about helping people make more meaningful connections and giving people the tools to overcome challenges that get in the way. I work with clients on Brainstates Management™, unconscious bias, Personal Leadership™ and Intercultural Conflict Styles™, always pointing individuals and teams towards the best version of themselves. To do this, I call upon cutting edge break throughs in neuroscience, a decade of training and consulting experience, 2 Masters degrees in topics related to culture and communication, and personal stories from her time living and working in over 30 countries. In 2011, I founded ReFresh Communication. Read more below! new ways of creating meaningful and productive connections. I believe that when we prioritize our relationships, we thrive. Relationships are the key to our work and therefore the key to creating positive change in the world. When we begin to truly understand how we each perceive and make sense of the world, our thoughts naturally become less critical of others because we see that we are each fighting a hard battle. This understanding seeps into our environment, and we begin to interact with more empathy, compassion and curiosity. We recognize that we all have fears and insecurities. When we prioritize relationships, these inner aspects become points of connection, instead of forces that drive us apart. I founded ReFresh knowing that if we can develop supportive relationships in our immediate surroundings, we will help create a world with less violence. Emily is humble, aware, dynamic, and highly skilled in delivering trainings on what can easily be difficult and emotionally charged topics. ReFresh trains you to maneuver the stressful communication challenges that foreseeably arise while working to create sustainable change. ReFresh’s strength is delivering dynamic trainings that equip you and your team with the tools to communicate across different perspectives and different cultures. You are empowered with deeper self-awareness, a laser focus for predictable miscommunications and an expanded capacity to adapt to new situations with empathy and creativity. You learn to finally unlock the cultural patterns underlying frustrating communication problems in order to accomplish your goals through successful cross-cultural collaboration. Learning Service: The essential guide to volunteering abroad. Contributing author for this amazing book to help volunteers think critically about their impact abroad. I contributed a chapter on Re-Entry Shock, basically change management! 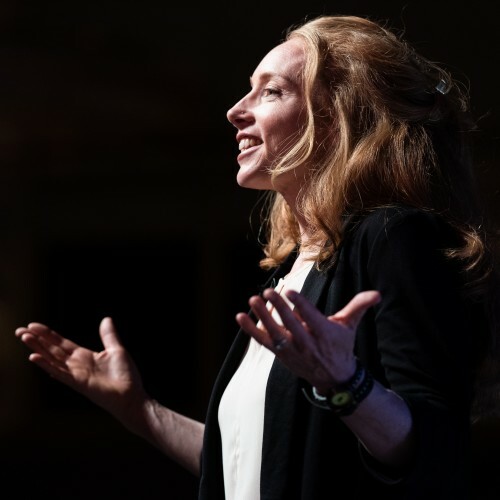 Find out more about Emily Braucher at https://www.refreshcommunication.com/keynote-talks/.